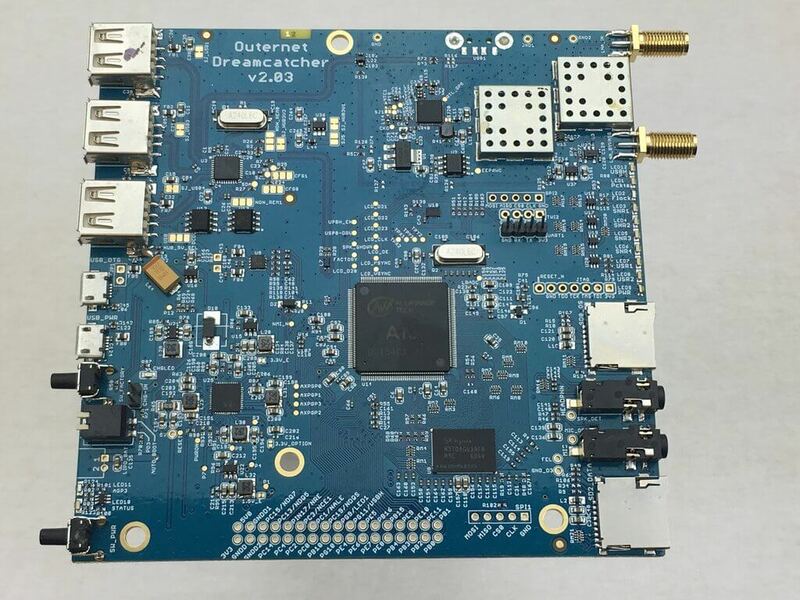 Recently Outernet released their new ‘Dreamcatcher’ hardware which is an RTL-SDR + L-band LNA & filter + computing board all on the same PCB. The Dreamcatcher costs $99 USD and can be bought directly from their store. 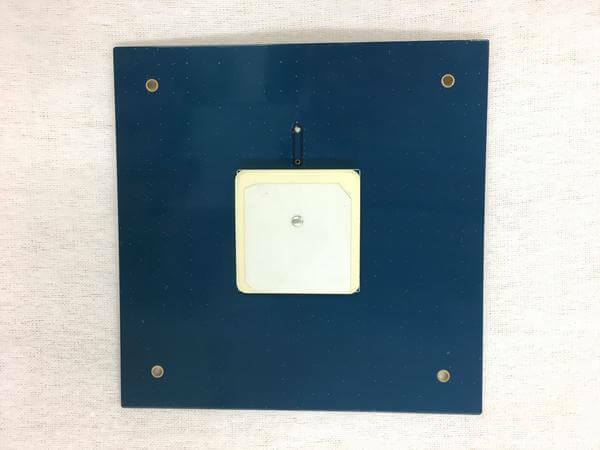 For your $99 you get the Dreamcatcher board, as well as a new ceramic L-band patch antenna which has a built in L-band LNA and filter. The built in LNA is useful as it allows you to use a few meters of extension cable in order to get the patch antenna in a good position outdoors. At the moment the Dreamcatcher can be run with two different SD card images: the Skylark Outernet software, or Armbian (Linux). The Armbian image is basically just standard Armbian and at the moment does not actually run any Outernet software, and cannot decode their signal – but this is being worked on. Eventually they hope to depreciate the Skylark image and instead use an Outernet receiver app that runs on Armbian. When running on the standard Armbian image, the Dreamcatcher can be used as a regular RTL-SDR connected to Linux, as there is a bypass port which bypasses the built in L-band LNA and filter. This port is enabled by default, but can be software switched to the L-band port if desired. There is also a 4.8V bias tee on the bypass port that can be turned on in software and used to power external devices via the coax cable. Currently there is no display support on the Dreamcatcher so the unit must be run headless, meaning that you must connect to it via UART or SSH from another PC. RF bypass for tuning from 24 – 1600 MHz – use as a regular RTL SDR! USB wifi dongle (based on RTL8188CUS chipset) – AP mode capable! Fully mainline (4.10) kernel and Uboot (2017.01) support! Also as explained on the forums, Dreamcatcher uses an Allwinner A13 SoC, which has inside an ARM Cortex A8 @ 1 GHz CPU. They’ve also added 512MB of RAM. 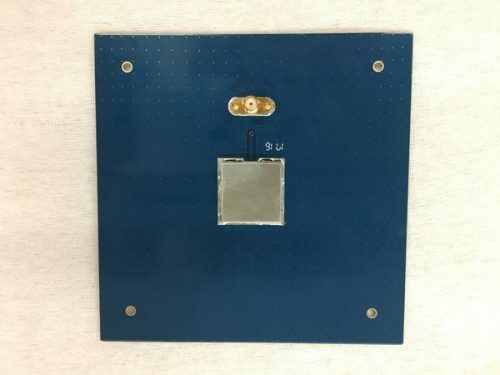 The PCB measures 12 cm x 12 cm. Although some assistance can be found on our forums, Outernet provides no direct support for this product. If you are not a tinkerer, hobbyist, or hardware hacker, you may be disappointed with your purchase. The Dreamcatcher also comes with Outernet’s latest L-band patch antenna. The new patch antenna uses a ceramic patch and a 12 cm x 12 cm PCB ground plane. The antenna is ‘active’, as it has a built in L-band LNA and filtering. It is powered by the bias tee on the Dreamcatcher, and can also be powered by the bias tee on our V3 RTL-SDR’s. An active antenna is a good idea as this allows you to place the antenna outdoors (you’d need to waterproof this antenna in a plastic box though), and run a coax cable inside. The LNA should help overcome the coax cable loss which can be quite high at the L-band Outernet frequency of 1.5 GHz. Outernet has provided us with a sample of this kit, and we plan to release a full review of the unit within the next few weeks. can I run the outernet on it side by side with direwolf for an Rx only iGate? No there is only one radio on board, so it can only receive one thing at a time. Whenever the team decides to show me a stable hardware/business model, I’ll get on board.